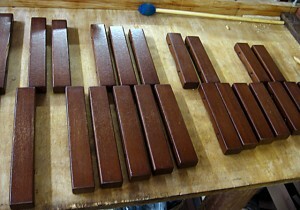 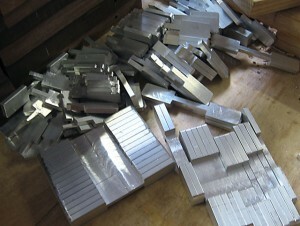 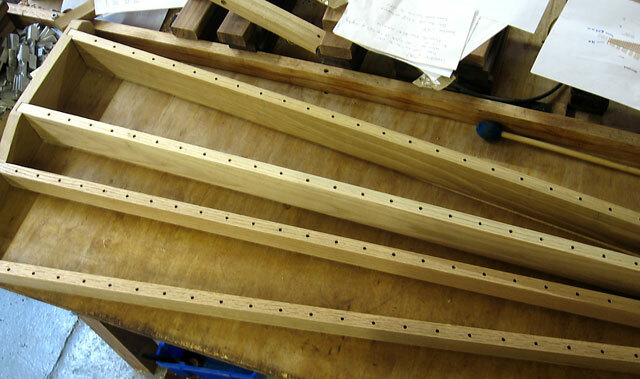 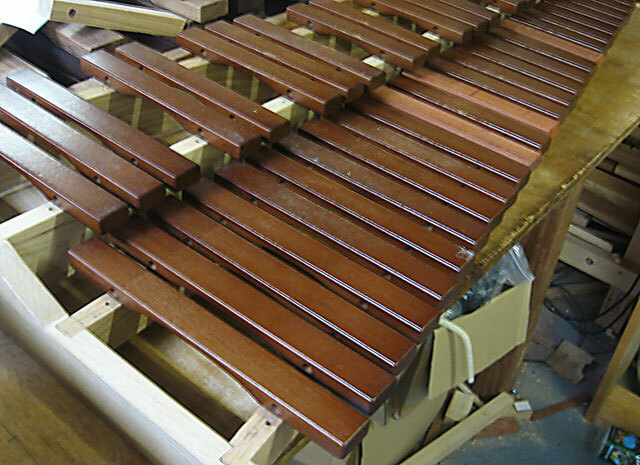 A modular design means xylophones can be offered in different configurations from a practice "table xylo" to a full instrument with frame and resonators. Some snapshots during construction of an instrument built to give new life to a salvaged keyboard. A frame was built to the correct geometry implied by the existing bars, and missing or damaged bars were replaced.